The strength of springs might be extraordinary, but wears out overtime. This is entirely natural. The lifespan of springs is limited basically due to their heavy duty responsibility. They carry a heavy load and the spring coils lose their initial power as they get looser month after month. As a matter of fact, springs lose power each time the door moves and that’s why our garage door torsion spring adjustment and repair services are necessary. 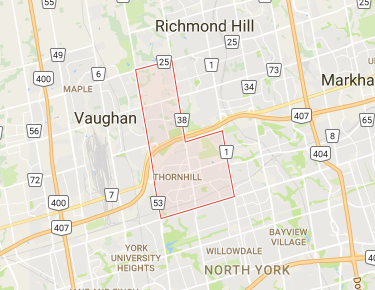 We do provide professional services in Thornhill, Ontario and do help our clients with all spring issues/matters. You don’t have to have spring issues to turn to our Garage Door Repair in Thornhill, ON. Our team can be of assistance every time you want to make changes or just for maintenance. Wondering why you would need our garage door torsion spring repair service without having specific problems? 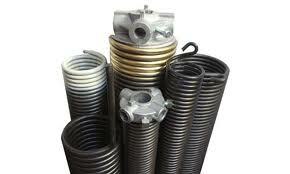 We provide full garage door torsion spring Thornhill services. Whether you want our opinion, expertise, new springs, second torsion spring installation, repairs, lubrication, adjustment, or to find out our garage door torsion spring replacement cost, do contact us. We make torsion spring adjustment as soon as possible and rest assured that our professionals carry the right tools with them. We add and release spring tension, adjust the door, replace all types of springs, and replace and fix garage door torsion spring parts. We offer honest spring solutions, respond fast to your urgent calls, help homeowners with spring problems in Thornhill in a timely manner, and are experts in Clopay torsion spring systems, too.